Did you know that South Africa has alarmingly low levels of entrepreneurial activity in spite of its high unemployment rate? One of the reasons for this negative trend can be ascribed to a fear of failure – or simply put: a lack of preparatory entrepreneurial skills training. 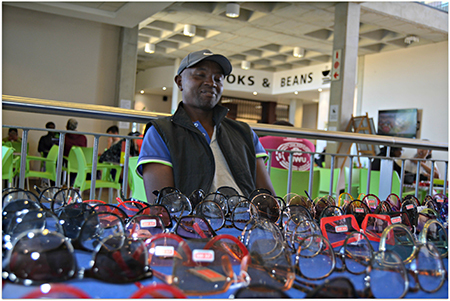 With this in mind, the library on the North-West University’s (NWU’s) campus in Vanderbijlpark recently invited students and staff to take part in its first-ever entrepreneurial fair. The fair follows in the wake of the recent national Student Entrepreneurship Week, or #SEW2018, as it is more popularly known. The entrepreneurship week represents an initiative from the Department of Higher Education and Training (DHET) and sees all universities in South Africa take part in a drive to promote entrepreneurship as a career option for graduates. The library’s entrepreneurial fair saw several start-up entrepreneurs exhibiting their products in the foyer of the Learning and Research Commons (Building 13). The products on display ranged from homemade eats, photographs, arts and crafts, costume jewellery and high-fashion eyewear to clothing items such as caps and traditional attire. An exhibit featuring the latest entrepreneurial books can also be viewed in the library. One of the exhibitors at the first-ever library entrepreneurship fair. 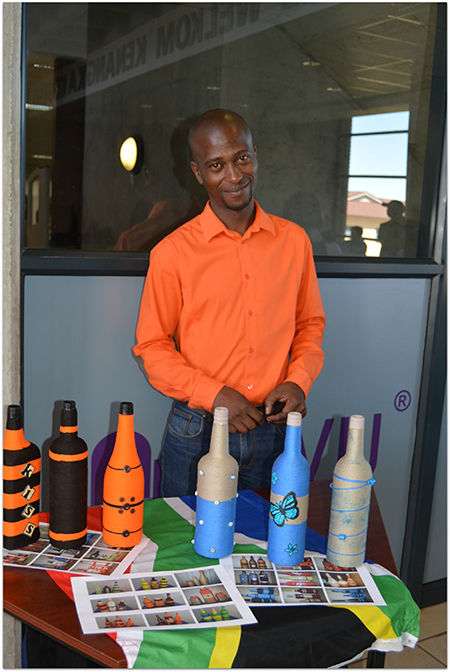 A staff member, Daniel Monyamane, exhibited his upcycled glass containers.